Here at EASKME I share review of different online product, so that EASKME readers can get value for their money. Webhosting is one of the crucial decision. I always recommend you to choose webhosting according to your needs. A typical shared hosting is good for a WordPress blog. I have already shared reviews of popular hosting sites like, Hostinger review, BlueHost Hosting review, HostGator Hosting review and SiteGround Hosting review. Dreamhost provide one of the cheap and reliable hosting. Today I will share review of Dreamhost hosting. Dreamhost was established in 1997 and is a popuar hosting company. They add value to hosting industry. I share things you should know. Dreamhost WordPress hosting is a complete solution and value for money. If you want to start a new WordPress blog or website in budget then Dreamhost is a good choice. Round the clock Tech support. 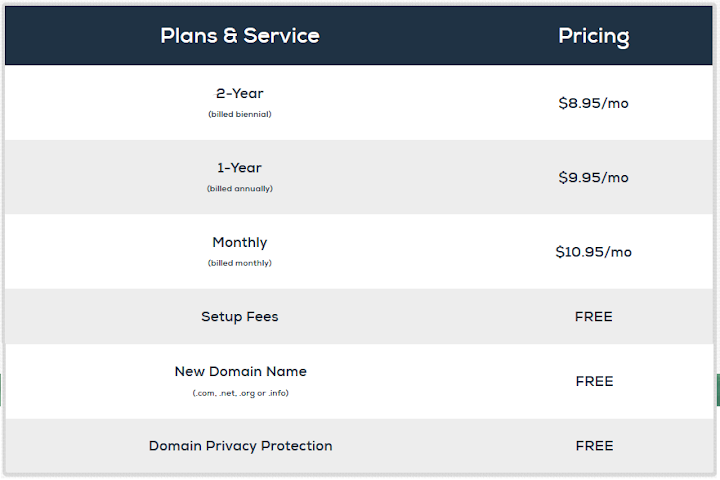 Dreamhost is priced at $8.89/month. Dreamhost cPanel is user friendly. You can install Wordpress blog within 5 minutes. If anytime you require more power then you can upgrade your package anytime. Dreamhost is a reliable hosting company. Do share which hosting service you are using? Don’t forget to share on Google Plus and Twitter. Don`t forget to like us on facebook and subscribe eAskme letter to get free updates.